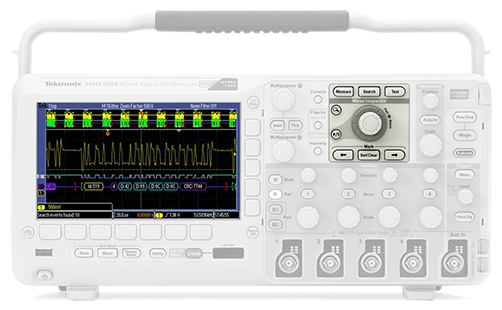 The MSO/DPO2000B Mixed Signal Oscilloscope series is the most powerful scope in its class with advanced debug features at an entry-level price. With as many as 20 channels, you can analyze analog and digital signals with a single instrument. 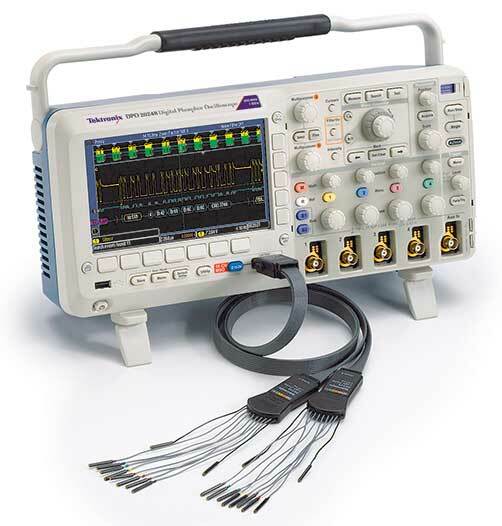 Combine that with automated serial and parallel bus analysis and innovative Wave Inspector® controls, you get the tools you need to speed up your debugging. Look at many points in your design with 4 analog and 16 digital channels plus 2 bus waveforms. 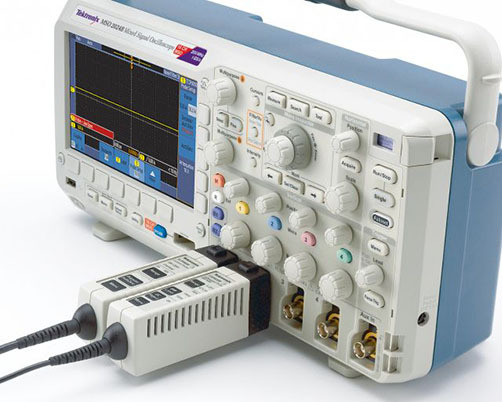 Find anomalies fast with digital phosphor display and 125 trigger combinations, and use Wave Inspector to pan through 1M waveform points, zoom in, mark points of interest, and navigate from mark to mark. Plus: FilterVu reduces noise, not glitches. Reduce errors and save time with automatic serial bus decoding. Plus, optional serial triggering and decoding modules automate triggering on specific packet content, then displays data in analog waveforms and bus views for quick insights. Also available: options for the leading serial buses in automotive, embedded design and computer applications. The Tek VPI probe interface provides wide application coverage and you don't have to worry about scale factors. Use a wide range of active and current probes that automatically communicate scale factors, enable simple deskewing and provide probe information on the scope display. Debug mixed signal designs with up to 4 analog and 16 digital channels, all time-correlated. Combine digital channels to show parallel buses or decode serial buses. Add in the innovative P6316 logic probe to make it easy to connect to your design and keep track of the signals. 16 fully integrated channels, all with 1GS/s sampling rate. Easy to use logic analyzer functionality. Define parallel or serial buses for triggering and decoding. Simple visualization with waveform grouping and color coding.